Let’s be frank, picking up your first compound bow feels a bit trickier now that you’ve done your research a bit, right? There are plenty of models out there, and you just couldn’t decide which one would suit you best. If that’s the case, you’ve come to a right place. We’ve covered some of the finest compound bows you can find on the market in 2019, so stick with us and let us show you around. If you don’t have the time to read full reviews of the best compound bows, this table will tell you what each model brings to the table. PSE Stinger Extreme (or Stinger X, as some archers call it) is a perfect compound bow for beginners. In fact, if this is your first bow, the chances are you’ll end up using it for years, if not more. It rocks a durable frame, sports a huge value for the buck, and it’s suitable for target practice and hunting. In essence, the Stinger X is an improvement over the Stinger 3G, packing high-performance X-tech limbs and a remarkable SX cam. These upgrades provide a substantially smoother draw and provide a boost to the bow’s overall versatility. This compound bow is made of machined T6 aluminium, which is surprisingly durable considering that this is, after all, a starter compound bow. As we’ve mentioned above, this bow rocks an adjustable SX cam which helps you customize the draw characteristics, as well as peak weight. There’s one thing that might bum you out, though. Namely, Stinger X isn’t suitable for youths and women with smaller frame if it’s set on the higher levels of minimum draw weights. Regardless, this is one of the best compound bows for the money. Let’s move on to Bear Cruzer G2. We’re looking at one of the best adjustable compound bows you’ll find in the price range. It’s very flexible, lightweight, and stealthy, but its versatility is the main reason why we’re reviewing it. Being suitable for beginners, intermediate, and advanced level archers, the G2 really promises a lot in terms of performance. Generally speaking, the adjustability of G2 is truly amazing – it’s very easy to set it up, it was specifically tailored to fit any kind of frame, and unlike our previous pick, this one’s also ideal for women too. With max load quad limbs, the Cruzer delivers a vibration free release, it might not be the fastest bow you’ll see, but it’s definitely one of the most accurate bows for the buck. 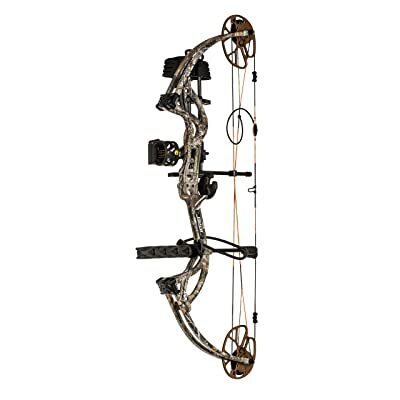 It’s stealthy enough to pass for a hunting bow, and its unparalleled adjustability makes it perfect for target shooting. After the Cruzer G2, now it’s time to see what the Archery Species has to offer. In essence, this is a hunter’s bow. It’s not exactly versatile, but it comes laden with premium quality features, such as, for example, the EnduraFiber limb construction. Speaking of which, the Bear Archery Species is exceptionally durable and robust. Furthermore, the limbs are very flexible, even though they’re tough as nails. 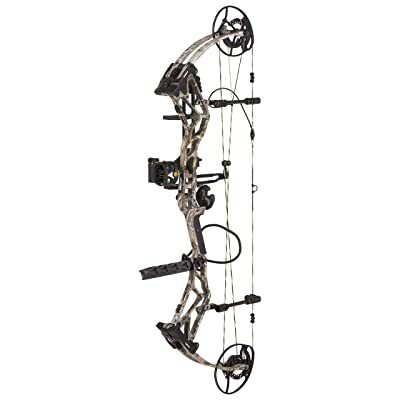 This compound bow comes supplied with a single cam and 4-pin sight, both of which are responsible for the impeccable accuracy of Archery Species compound bow. On the downside, it’s quite heavy, weighing approximately 4 pounds. A perfect option for archers who rely on stealth, Bear Archery Species boasts shockwave technology to damp the sounds and vibrations. That being said, this is not a bow you’ll want to use for target shooting – it’s perfect for novice and intermediate level hunters who hunt small and medium game. There’s another thing that you might not like as much – it’s the cable slide. Namely, this is the only feature that somehow doesn’t show the signs of quality like the rest of them do, and it feels rather cheap. Regardless, upgrading this feature shouldn’t cost too much, and the bow is generally great for the money. 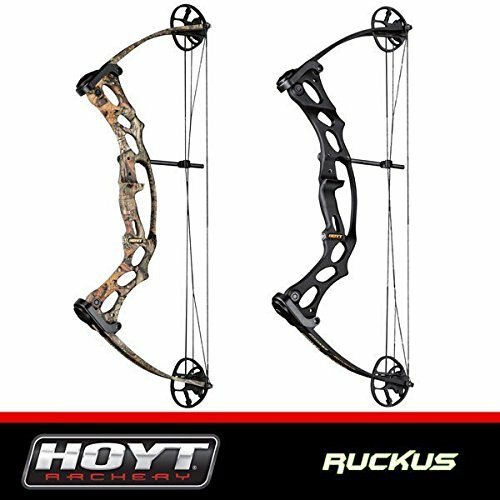 Hoyt is a major brand when we talk about archery, and the Ruckus is one of their less-famous models. If you’re wondering why that is so, the answer is quite simple – this is a bow for beginners and kids. These guys have made their name making top-grade bleeding-edge tech compound and recurve bows, so it’s only natural that people neglect starter bows like this one. Regardless, we’ve decided to give it a shot, and we were quite pleased with how it performed. First, and foremost – this is a bow which won’t meet your standards if you’re anywhere above “beginner” skill level. The reason why this compound bow is so good for starters is because it rocks a lightweight construction. Though it doesn’t weigh much, it’s still sturdy enough to withstand years of use, to say the very least. It doesn’t come supplied with any special features apart from the two Versa cams which make the draw exceptionally smooth. In a nutshell, this is a remarkably light bow with plenty of room for customization and adjustments, it’s balanced, and feels quite great in hands. Now, we can safely say that Diamond Archery is one of the biggest names in this particular sphere of industry, so even though we’re looking at a slightly older model, the Edge SB-1 promises quite a lot in terms of performance. 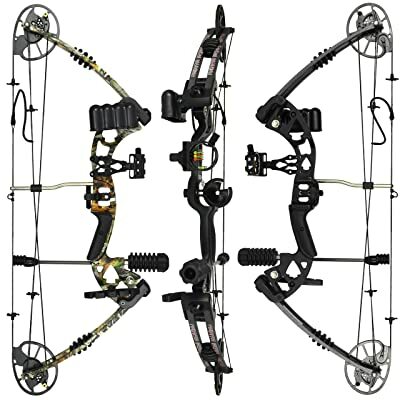 The punchline is – this is a very versatile compound bow which rocks a huge level of adjustability. To top it all, the EZ Adjust system allows even the immediate beginner archers to easily setup their bow in accord to their needs. 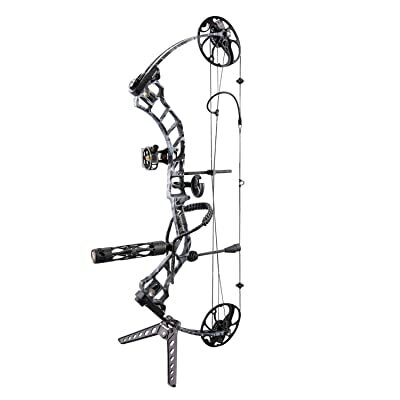 This bow sports a special binary cam which provides an impeccable arrow speed level – 318 FPS. Other notable features include the Octane Hostage Max, Octane Ultra Lite stabilizer, Deadlock quiver, and Diamond Archery wrist sling. Now, the real reason why we’ve dubbed this compound bow as our “best proven bow” is because this might be your safest option. Other bows excel in one or several fields of performance, but this one has it all. With easy setup, excellent accuracy, and plenty of adjustability options, this might be the best hunting bow of all time. Here’s the kicker – we’ve liked this bow so much that we’ll feel bold enough to declare it the best compound bow of all time. This bow performs a bit differently when compared to similar models, as it packs a lot of power without producing too much noise or vibrations, it’s very easy to adjust or set it up, and it generally shoots faster and more accurate than most mid-priced compound bows. First of all, let’s talk a bit about the EAZ Hybrid Cam system. Generally, this feature draws the smoothness of single cam systems and combines it with the strength of a regular hybrid cam. The Max Preload Quad limbs make Bear Archery BR33 a powerhouse while the Cross-Lock limb pockets provide optimal shot control. Accuracy and strength are the least you should be expecting from this compound bow. On the downside, it weighs quite a lot, so it might not be so good for inexperienced youths. Be it as it may, this is a highly valuable compound bow which we guarantee you’ll end up loving. 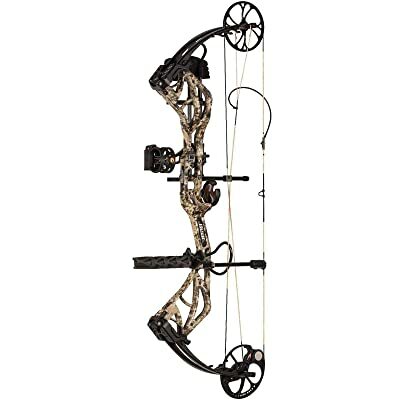 If you are looking for a versatile compound bow, then look no further. Raptor’s compound hunting bow is the most flexible bow you’ll find, and not to mention that it comes at a ridiculously low price. In essence, this is a bow you’ll want to use as a beginner – its draw weight limit is pretty standard, the cams are as average as can be (they’re durable, though), and it’s pretty accurate and powerful altogether. Now, this bow might be your best budget option considering the plethora of accessories it comes laden with. Out of the box, you’ll get a whisker-biscuit style rest, a stabilizer, and a split yoke tuning system. Basically, the kit has everything a starter needs. 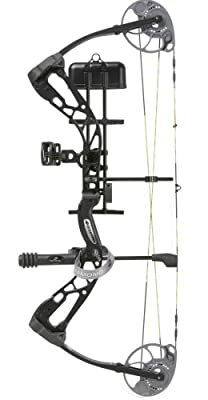 The downside is that this compound bow doesn’t exactly excel in any particular sphere of performance – there are faster, more durable, and more reliable bows, sure, but this one does the job for the money. Just like our previous pick, XQMART’s compound bow is versatile because it comes supplied with a plethora of convenient accessories. Even though its performance is pretty great, these gadgets and tools will come handy during target shooting and small game hunting. 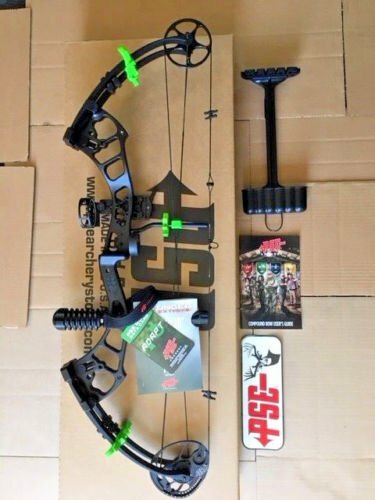 The bundle is comprised of a five-pin optical bow sight, a brush arrow rest, a rubber stabilizer, a six-piece quiver, twelve 30-inch carbon-mix arrows, two limb dampers, a string wax, an arrow puller, a D-loop, arm guard, wrist strap release, an allen key, handle grip tape, two peed sights, a paper target, and more. Now, the bow itself is pretty durable and looks just alright, but it’s small, it doesn’t feel as comfortable as standalone compound bows we’ve covered in our best compound bow review, and there’s some room for improvement. All things considered, this is not just a cheap composite bow – this is a cheap composite bow bundle. You’ll get everything you need to start hunting or practicing with paper targets straight off the bat, and all that for a decently low price. We’ve seen hunting bows, we’ve seen bows for target practice, but what we didn’t see in this review is a compact bow. A bow which can easily be used and carried around, the one that will make you stealthy like a ninja. That’s why we’ve picked Gen-X’ bow for this occasion. This particular model features a machined aluminium riser, an aluminium cam, a set of sturdy limbs, and an idler wheel. Basically, it’s not as versatile as most models we’ve covered so far, but it gets the job done, regardless of how you intend to use it. It’s as compact as it is light, which makes using it a completely fatigue-free experience. It’s best used by hunters, but archers at all skill levels would welcome it. In fact, beginners and intermediate level archers would benefit the most, as it’s easiness of use and compactness make it a great starter composite bow. Now, there isn’t actually a real downside to this bow – what you see is what you get. It simply doesn’t offer some benefits like the other models, for instance the versatility of XQMart’s composite bow, or the accuracy of Bear Archery’ models, but it’s absolutely great for the money. We’re closing up shop with one of the finest composite bow models ever created – the Diamond Archery Infinite Edge Pro. Basically, this bow packs a 3-pin tundra sight, Hostage arrow rest, deadlock octane quiver, tube peep sight, and 5-inch ultra lite octane stabilizer. It’s versatile, subtle, and excels in the fields of handling and versatility. The Infinite Edge pro features an all-aluminium construction which is more than capable of withstanding quite some punishment. Additionally, its cams are incredibly smooth, providing a substantial boost to overall accuracy. One of the best things about this bow is that it’s ideal for archers at all skill levels, although its price indicates that it’s best suited for pros and veterans. Be it as it may, you better think twice if a sheer notion of passing up this opportunity crossed your mind, as Infinity Edge Pro holds an exquisite value for the money. Now you have the know-how required to pick the best compound bow, and you have a plain catalogue of the best models in front of you. It’s up to you to decide, but if you still feel insecure, make sure to not miss out on the buying guide section. We wish you luck in finding the best compound bow! How to pick the best compound bow? What makes one model good and the other bad? This section is dedicated to resolving this issue, so pay attention. First and foremost, there’s the build quality. Frankly, a flimsy bow is useless, not to mention that you could get yourself hurt with one. That’s the prime reason why picking out a durable bow should be imperative for you. Most models are made of aluminium materials, but there are those with certain plastic parts – avoid them if possible. Using steel and other notoriously robust materials seems impractical, and in most cases impossible, so you’ll still have to properly maintain your bow and use it with care. In modern times, the archer has an opportunity to adjusting numerous parameters of the bow – there are accessories you could attach to the model in question you wouldn’t be able to dream about, and the higher the bow’s adjustability is, the better accessories and gadgets you’ll be able to use. Basically, there are plain bows which are rigid in this field – they can also be labelled as “not exactly versatile”. There are a lot of reasons why you’d benefit from a versatile bow, and one of the most important one is that you’ll be able to go target shooting and hunting, whereas bows with low versatility would allow just one. There are bows which were specifically made for beginners – the ones that are easy to use and setup. Then again, there are models which come supplied with a plethora of confusing features, so it’s safe to say that the skill level is a factor of high importance here. Don’t fret too much about it, though, as this review has covered bows for archers at all skill levels, especially beginners. Hunting bows should be “stealthy” while target practice bows don’t. Now, by saying “stealthy” we mean that they shouldn’t be noisy, so as to avoid scaring your game off. If you just wish to shoot paper targets, you shouldn’t think too much about which bow you need. It will be a natural question to ask, what is better, a Bow or a Crossbow? A very short answer will be that in the case of hunting the crossbow is a deadlier weapon and the accuracy is also better. As for sports activities, there is no major advantage or disadvantage, the weapons are different in terms of techniques for shooting and handling. You choose what lies closer to you, what you prefer most, maybe you want to experience both, it’s never a bad idea.